Funding for programs comes from donations and grant funding. 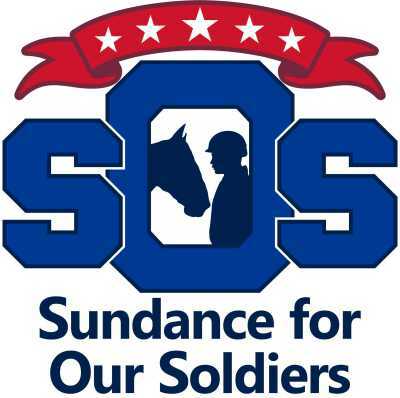 Sundance for Our Soldiers (SOS) is a 501(c)3 non-profit organization that offers a unique innovative approach to personal growth and learning for soldiers of all ages and their families. There is NO Horseback Riding and NO Horse Experience Needed. All activites take place 100% on the ground interacting with horses. Each session is facilitiated by an Equine Specialist and Horse(s). The horses in their natural environment have the innate ability to mirror what they see. The non-verbal communication from the horses helps become a catalyst for self-discovery and personal growth. 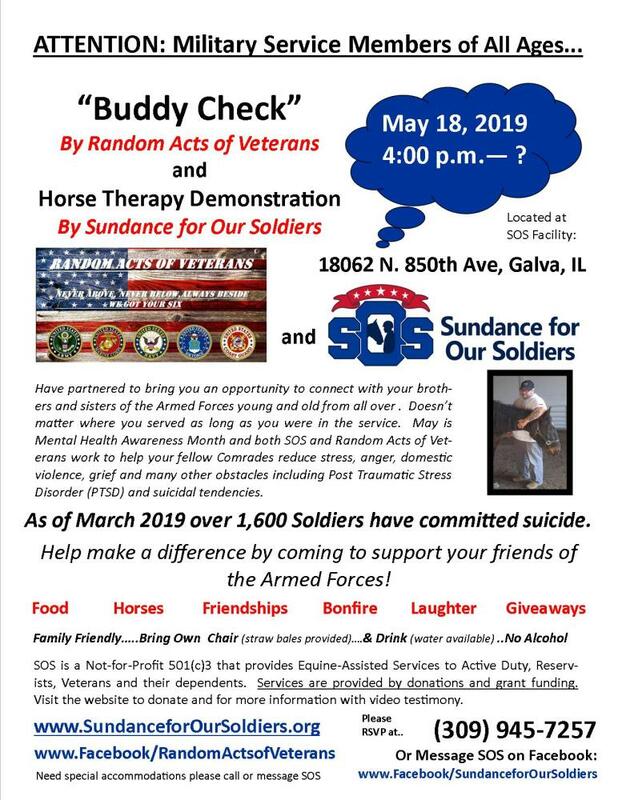 May is Mental Health Awareness Month and SOS has parntered with Random Acts of Veterans to host the May " Buddy Check!" Please RSVP so we have enough food. We have invited a lot of Soldiers and their families from all over Illinois and Iowa. This will be an event you won't want to miss! Donate a Giveaway for May 18th Buddy Check! SOS is collecting donations for giveaways at the May Buddy Check Event. We are expecting at least a 100 attendees maybe more which includes their families. Upon arrival each Veteran will receive 5-10 tickets depending on the number of donations. They may put a ticket(s) in any cup that has an item donated as a giveaway. After dinner we will draw tickets for the giveaways and soldiers will be going home with a free gift made possible by our caring community! This event is family friendly and will impact Veterans of all ages and backgrounds. Some ideas for donating: clothing (all ages and families), household, gift certificates, artwork, craft items, and itmes for kids like clothes and toys. Visit our Facebook Page: Facebook/ Sundance for Our Soldiers for pictures of donated itmes. If you would like to donate an item via Amazon to be shipped to us for the giveaway please use our Amazon Smile charity donation. Not only would you be donating a purchased item from Amazon but part of your purchase price will be donated back to SOS. Click on "Amazon Smile" to be linked to the website. As a 501(c) 3 Tax Exempt Not-For-Profit Organization we are solely funded by Donations and Grants. Donations over $250 are tax deductible and you will receive a letter at the end of the year for your taxes. 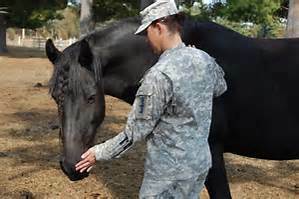 The majority of our budget goes to the Mental Health Professional and the Equine Specialist for their services and time spent helping the soldiers. In 2018, SOS plans to expand our services reaching more soldiers at further distances and job creation. We are located in a very large rural area. Henry County Illinois is one of the largest counties in the state of Illinois. We have 4,000 Veterans according to the 2010 Census. Out of that 4,000 almost 600 Veterans are disabled according to Dot Meindok, Henry County VA Commission Superintendent. There are 2 - VA Vet Centers 50 miles from our location that provide counseling. Unfortunately they are overwhelmed and under staffed with the large number of Veterans they see therefore making it a wait to be seen. SOS is in contact with the Vet Center in East Moline. Closest VA - Vet Clinic is 45 miles away in Galesburg, IL. That is the closest psychiatrist available to veterans. Many veterans don't have transportation to get to appointments. Closest VA Hospital is Iowa City, IA a 2 hour drive and Chicago is 3 hour drive. Wait to be seen is long. Transportation is a huge challenge for many veterans needing services. Rural America is suffering with the lack of services for mental health illness' and effective programs such as SOS. SOS is the only Free Mental Health Service specific to the Soldier's needs in our area. The span between our program and other similar programs stretches from Chicago, IL across the Mississippi River as far as Central Iowa. This innovative approach to mental health uses horses in a professional counseling session. An innovative professional approach utilizing a horse's innate abilities. Please help our mission by donating today! ​​Jack was full of personality. He was always amazing me every time I put him in the arena loose with clients. Our clients never noticed Jack was blind in one eye. You wouldn't know it during an Equine-Assisted Learning (EAL) session. EAL addresses personal goals. Sessions were set-up with ground activites involving the horses that will require the individual to apply certian skills, as defined by their goals. Examples of skills applied but not limited to in an EAP session: improved behaviors, improved social skills, reduced anxiety and other intense emotions. This effective approach to being healthier mentally allowed Jack to use his innate abilities as a prey animal to read and mirror his environement. Jack had the biggest heart and devotion to his job helping people see themselves or thier environment in ways that were healing. Many unique experiences Jack had with clients. Jack has been a favorite among the herd with soldiers working through their Post-Traumatic Stress Disorder (PTSD) and other service related stress. Unfortunately it was discovered that Jack had a tumaor growing in his head and it was pinching off his optic nerve causeing pain and paralysis. In May of 2018 Jack was laid to rest in greener pastures. In January of 2019, Jack was selected by the Illinois Horseman's Council for the Dust Commander Award. Jack's pasture and therapy mate was Smokin Soparano aka "Smoke." He went on to the Horse Fair to represent Jack. Smoke accepted recognition before the rodeo event. and we were honored to be there on Jack's behalf! Click on "Veteran Jake" to see the News Coverage of the SOS Demonstration on July 30, 2017. SOS Veteran Jake shared his actual 3rd therapy session with the audience. What a rare occassion and fantastic learning opportunity for the public. Horses are not trained to this type of therapy it is their innate ability. For the purpose to proof these horses are not trained this was the first time Jake has ever seen these horses. This young man is a walking miracle to be alive today after laying on railroad tracks desperate to escape the aftermath of combat. SOS is so grateful to be able to help him with his journey to self-disovery and healthier living! 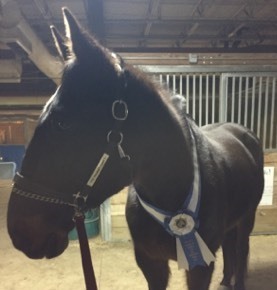 Jake has decided as part of his healing and reconnecting to people he wants to help spread the word that Equine-Assisted Pscyotherapy & Learning is a very effective program. We are HONORED to have Jake as a part of SOS's Expansion! "I had a very good experience here; very uplifting, refreshing and helped with clarity, finding out that I am still useful, in fact maybe refined due to all that I have experienced. Thank you." "It's the first time in many years I have felt comfortable and safe." "I think it has been good. It gave me a lot to think about and compare to our action and communication. A peaceful, relaxing and comforting place to be. I wish I had more time to enjoy." "Very calming enjoyable experience." "This program was very useful as in eye opening. The beginnings of trust as in feeling it, My interest in this therapy has taken off! I found the purpose to pursue a goal that emotions are many and how we deal with them is just as important in maintaining and reaching that goal. Very supportive facilitators." "Fun thought provoking peaceful, soul searching, making connections facing fears and doubts. Uplifting, spiritual. I’m glad we didn’t ride the horses because we would have been focused on learning to ride instead of finding inner strength and peace. I felt this was a time for personal growth." "WOW! The hands on approach and interaction with the horses is like therapy at warp speed. The girls also do a group together where we just talk and this really brought up things about ourselves that we may not have discovered. I loved the vague guidelines and then allowing us to interpret them however we wanted by using our imagination. Wonderful experience." "Being around horses is nothing new to me but we have been without them for about 6 years and I did not realize how soothing it was to have them walking around and wanting to be touched. What was new to me was being in a group of individuals that are having some of the same feelings and situations as me. Being with two older gentlemen that were in their 60s made me realize that I may have to battle these feelings for a while and I am going to have to learn to cope with them."